The Italian city of Pompeii is a window into an ancient world. In 79AD, Mount Vesuvius, a volcanic mountain in the bay of Naples, Italy erupted and quickly covered the city in a thick cover of volcanic ash. Around 2,000 of Pompeii’s people were killed and the city was abandoned. It stood still in time until it was discovered again in 1748. You can visit today and peer through that window into the ancient world. Here’s why it’s such a fascinating story and a fantastic site to visit during your holidays in Italy. The city was quickly covered in layers of volcanic ash. Since the city was covered so quickly by volcanic ash, it is a very good snap-shot of what life was really like in a roman city in 79AD. If you visit today you can see lots of detail – even chariot tracks in the cobbled streets. It is such an atmospheric place to visit. The eruption took Pompeii’s inhabitants by surprise. There had been an earthquake in Pompeii in 62AD. The city was still recovering and rebuilding. There were several minor tremors throughout the next few years. And there were even a succession of tremors in early August of that year. People got on with life so were unprepared when the large tremor hit on 24 August 79AD. Then the following morning, volcanic gas and debris erupted from Vesuvius and rolled into Pompeii. The superheated air burned the lungs of the victims and contracted their muscles. Their bodies were preserved where they lay under a thick layer of debris. Pompeii lay undiscovered for centuries. In 1748 a group of explorers arrived in Campania and began to dig. They found that the ash from the volcano had preserved everything. It was almost like life had been frozen. The buildings and human remains that were preserved by the debris have taught historians a lot about life in Roman times. The buildings were intact. Human remains lay frozen where they had fallen. The explorers found everything from household objects to loaves of bread. People in the 18th century were fascinated by what was found in Pompeii. Artefacts found in the ruins were reproduced for society to buy. Rooms found in Pompeii villas were recreated in the homes of the wealthy in other parts of Europe. 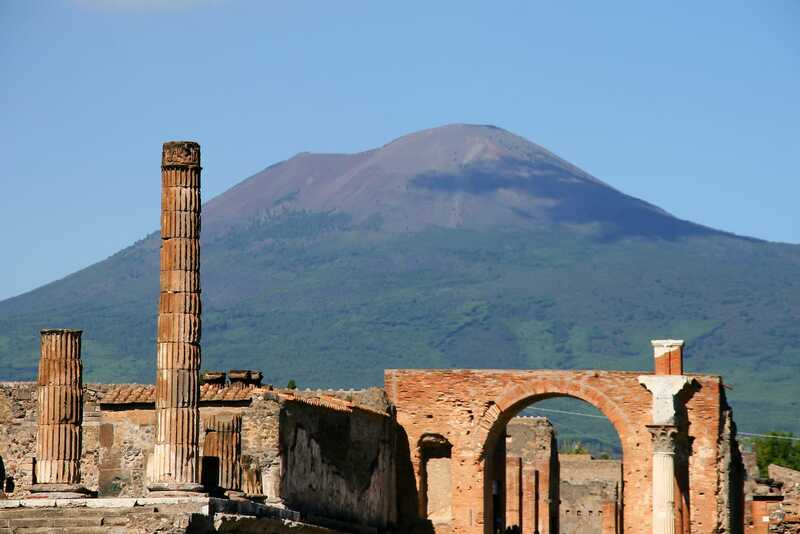 - There’s also a Pompeii and Vesuvius excursion (from Naples). Both tours are in the company of an expert local guide. They will maximise your time in the area by giving you the best possible tour of the area, sharing the fascinating story as they go, whilst you see the ruins with your own eyes. 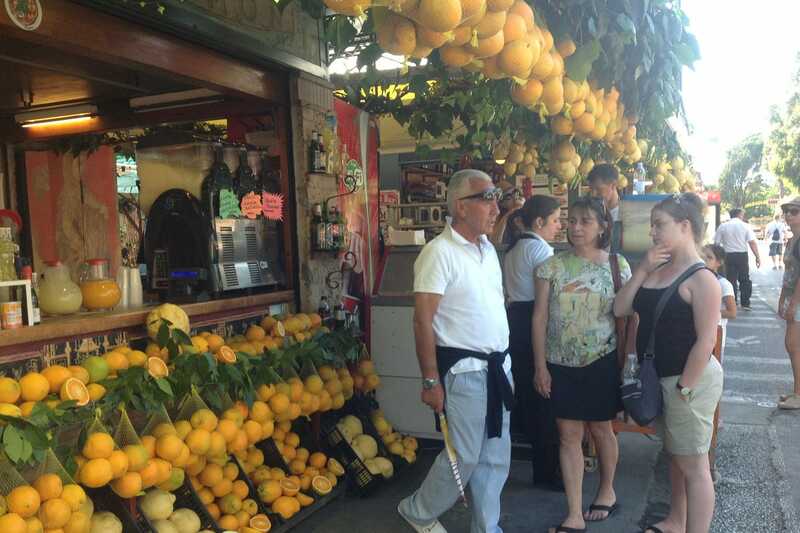 It’s a truly unique and memorable experience for any Italian holidays. Be sure to visit our website at tours-italy.com for more information. We, Avventure Bellissime – are Italian holidays experts and we’re definitely best placed to help you make the most of your Italian holiday. We offer a selection of Italian vacation packages as well as tours of Italy’s wine regions and other famous sights and attractions that are suited to your time and budget. For more information on holidays to Italy, from information on the best destinations, guides on the country’s main attractions, through to interesting facts about the Vatican - be sure to check out our travel blog at Avventure Bellissime. It’s a great read about all things, Italian!